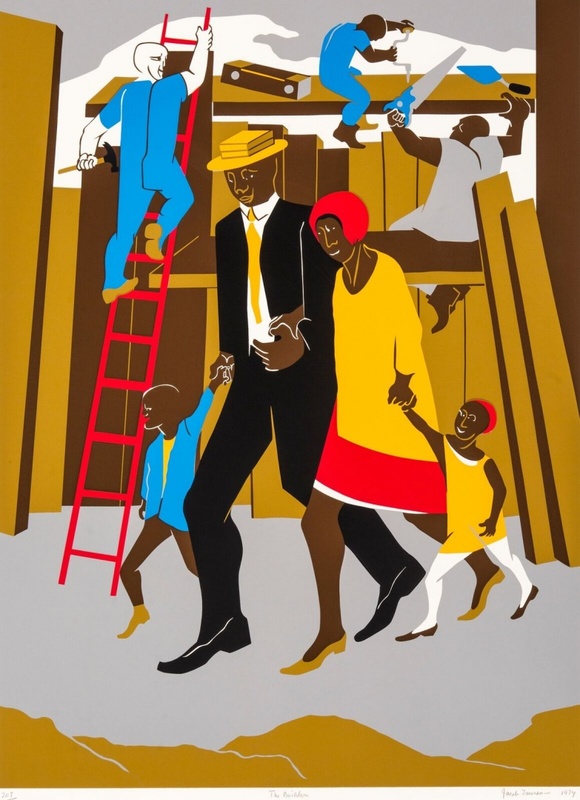 Jacob Lawrence, Forward Together, 1997. Silkscreen on paper, 25 1/2 x 40 1/8 in. © 2019 The Jacob and Gwendolyn Knight Lawrence Foundation, Seattle / Artists Rights Society (ARS), New York. 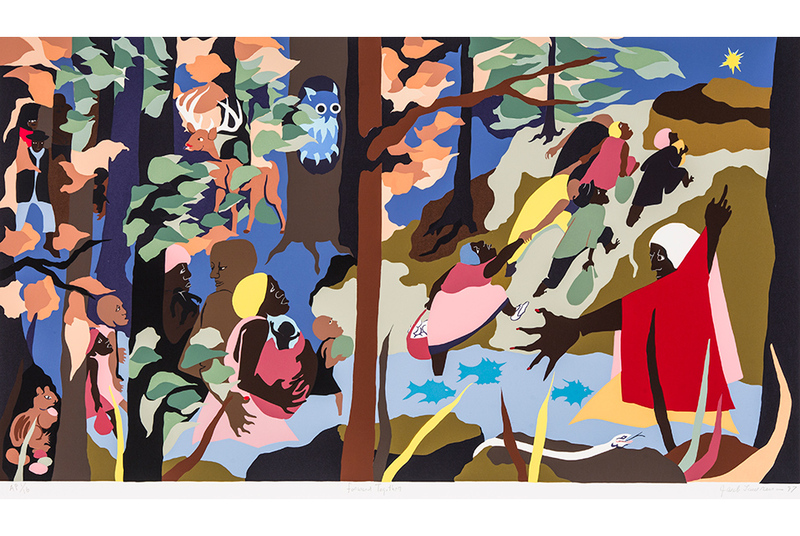 This exhibition provides an overview of influential American artist Jacob Lawrence (1917-2000). 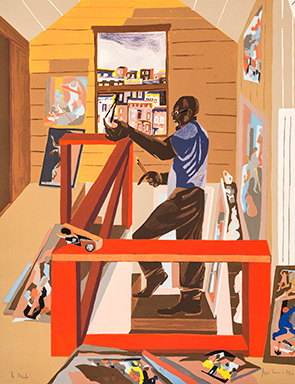 Lawrence was primarily concerned with the narration of African American experiences and histories. His acute observations of community life, work, struggle and emancipation during his lifetime were rendered alongside vividly imagined chronicles of the past. The past and present in his work are intrinsically linked, providing insight into the social, economic and political realities that continue to impact and shape contemporary society today.